One of the most commonly used materials in cement industry in undeniably limestone powder. The material should be reduced to the fineness of 200-325mesh before being applied to the technological process. Strommashina offers you an elegant solution – a vertical mill that is designed to perfectly grind limestone. These heavy-duty machines will help you to create the most perfect limestone powder out there and make your product the best in the market! Main raw materials in cement industry are clay and limestone. Through a variety of simple technological steps, the materials are reduced to the calcined clinker. 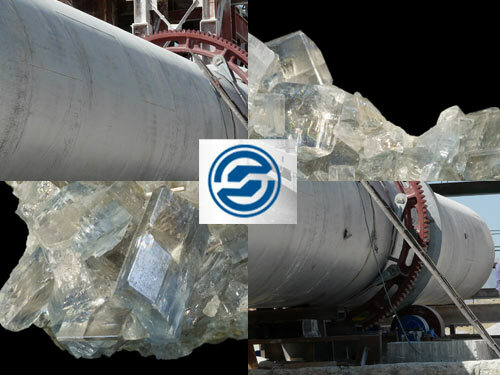 The clinker is then further processed in the kiln that helps to extract the much needed properties of the product by processing the material together with additives such as gypsum. After an intense grinding process, the cement is manufactured from the mix of raw materials. The limestone needs to be crushed into a powder with the fineness in the range of 200-325mesh. When you need to create a fine limestone powder with the fineness of 200-325mesh, it is recommended to use effective machines like ball mill, high-pressure grinding, and roller mills. Strommashina constructs and sells all kinds of machinery necessary to set up an efficient cement manufacturing facility. If you need a perfectly refined limestone powder, try out special vertical unit that allows you to prepare limestone and use directly after processing to the next technological step immediately.